Mark Solms was unprepared for the lack of enthusiasm and engagement he met with on the farm: “There seemed to be no common purpose or hope. The lethargy and depression were overwhelming.” For centuries people had lived here with strictly predetermined possibilities and would not think beyond them. He had to confront the “deeply uncomfortable role of a white farmer” which he suddenly personified. The attitude of most people on the farm was that, since he was the owner, they must be scared of him; or, if he does not live up to the role, then he can be taken advantage of. “We had to work around layers and layers of scar tissue,” he says. Moreover, he had to confront “the racism that exists in oneself”, and the tendency to transform while maintaining one’s own privileges. 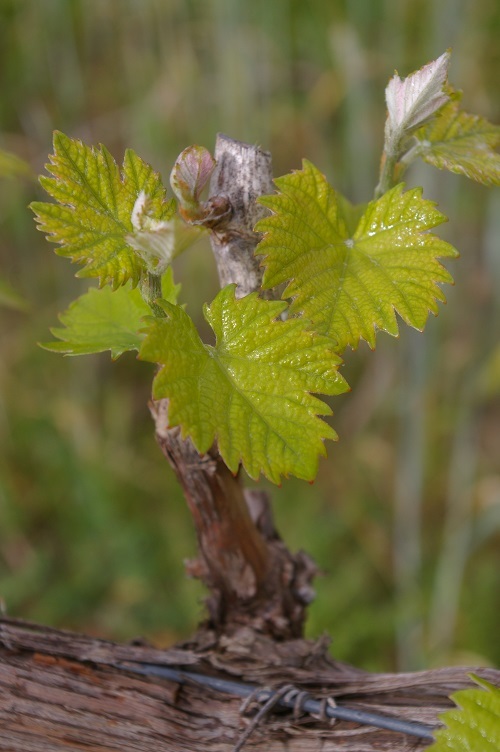 In 2005, the Solms family established the Wijn de Caab Trust to benefit all the historically disadvantaged residents of the farm and other employees of the Solms-Delta wine company. In due course, Mark Solms convinced a dear friend from Britain, Richard Astor, to buy an adjacent farm, Lubeck Delta, and the Trust was restructured in the process. With the help of loan funding secured by the Solms and Astor families, the Trust purchased a third adjoining farm, Deltameer. The three linked properties now became equal partners in a common enterprise. 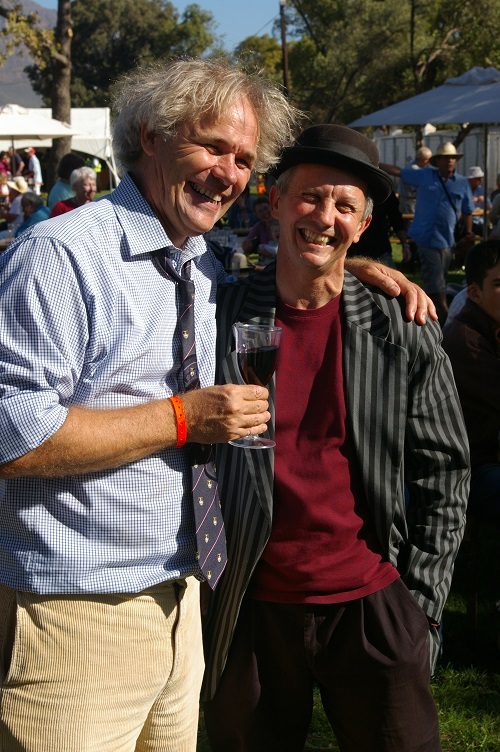 The idea for the annual Oesfees (Harvest Festival) was born. Celebrated for the first time in April this year, it was an enormous success. Farm workers from the entire area were invited to participate in the festivities, involving traditional music, local food and wines. 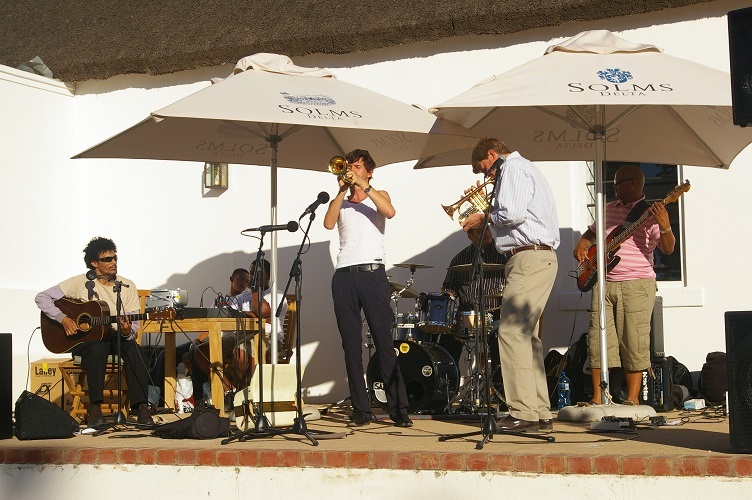 Richard Astor, a cornet player, performed on stage with the likes of David Kramer and the Delta Optel Band, consisting of Solms Delta residents and led by the young Cape music enthusiast, Alex van Heerden. Richard Astor knows that “all these great people on the farm can’t be a coincidence.” He says of his friend, “Mark brings out the best in people in a realistic way. 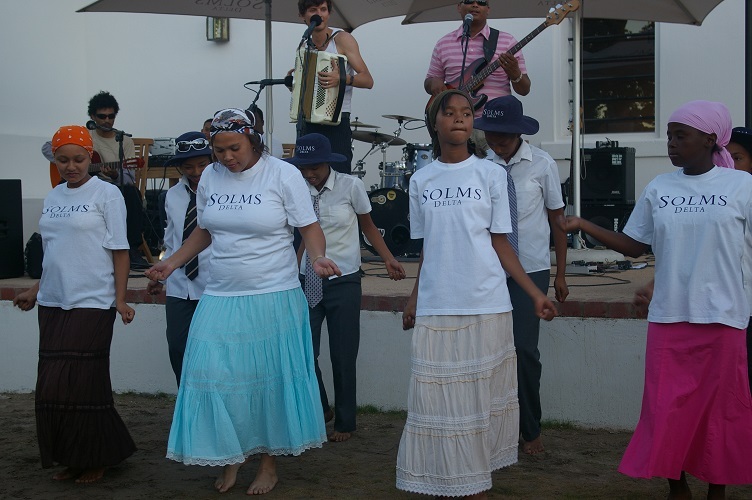 He builds confidence and helps people realise their potentials.” The pool of talented individuals involved in the Solms Delta projects attests to this. Cathy Macfarlane began as administrator at the farm in March 2007. A former teacher with no experience in administration, equipped only with vast enthusiasm, she swiftly adapted: “Working here has been an adventure. It’s tough at times, but I love my job.” As Solms Delta’s administrator, she coordinates all the entities on the farm, interviews new staff members (mostly appointed internally), and until recently was responsible for the certification of wine. Her latest projects are a fynbos reserve and “Fyndraai”, a restaurant which from December onwards will delight farm visitors with traditional Khoi cuisine based on the dedicated research of food scientist Renata Coetzee. Tracey Randle was fresh out of university when she came to work at the farm in 2004. Finding vast amounts of artefacts during the renovations of Delta, Solms had an idea for a museum on the farm and employed Randle to direct it. A passionate historian, she shares his vision on how history can be told in a multitude of voices, an idea inspired by André Brink’s novel A Chain of Voices. In 2005, Brink was invited to open the Museum van de Caab which became one of the most sought after tourist attractions of the region. The Museum is unique in that it seeks to present history from individual perspectives of all the people who have ever lived, worked and died on the farm. There is no attribution of blame, just a display of the resilience of the human spirit. In 2004, Medwin Pietersen and Johan O’Rayn came to work at the Delta as security guards, but both had a passion for history, which they have been given the opportunity to develop at the Museum and by completing heritage management courses. Later this month they will be travelling abroad for the first time in their lives on an exchange program to Sweden: “We’ll be visiting museums and schools in Malmö and learning how best to teach children about history, heritage and culture at school,” says Pietersen. This entry was posted in Memories, What I've Written and tagged A Chain of Voices, Alex van Heerden, André Brink, basketball team, Bastille Day, Big Walk, Cape Town, Cathy Macfarlane, cellar manager, concerts, cycle of fatalism, David Kramer, Delta Optel Band, Deltameer, dignity, equality, exchange program, Fanie Karolus, float, food scientist, Frances Semmelink, Franschhoek, Franschhoek Valley, freedom from religious persecution, freedom from slavery, Friedrich 4th Prince of Solms-Baruth, fynbos reserve, Fyndraai, Harvest Festival, historian, historical burdens, Huguenots, Johan O’Rayn, Karina Magdalena Szczurek, Kyle Ray, Lubeck Delta, Malmö, Mandela’s freedom, Medwin Pietersen, museum, Museum van de Caab, music, Nico Jansen, novel, Oesfees, Paarl, parade, Professor Mark Solms, region, Renata Coetzee, respect, responsibility, restaurant, Richard Astor, social worker, Solms-Delta, Sweden, Theresé Willemse, Tokyo Sexwale, tourist attractions, Tracey Randle, traditional Khoi cuisine, transformation, University of Stellenbosch, white man, Wijn de Caab Trust, wine, wine farm, Zandvliet Delta on August 9, 2014 by Karina.